God Notes – Notes on things God is telling me to tell you! IT HAPPENS AT NIGHT! IN THE DARKNESS! Your SUDDENLY is alive! Just as the women went to Jesus’ burial site, embalming spices in hand, ready for “business as usual”, didn’t expect Him to be gone but found an empty tomb! They didn’t expect Him to be alive, even though He had told them He would be (see Matthew 16:21, Mark 9:31)! They were just going to work, like normal, natural people with a normal, natural mind-set, expecting the usual. They expected Him – and their dreams – to be dead and buried. But God is alive, and so are His suddenlies! “It was the day of Preparation [for the Sabbath], and the Sabbath was dawning (approaching). The women who had come with [Jesus] from Galilee followed closely and saw the tomb and how His body was laid. Then they went back and made ready spices and ointments (perfumes). On the Sabbath day they rested in accordance with the commandment,” (Luke 23:54-56). Notice that the women “…rested in accordance with the commandment,” (Luke 23:56). They were forced to rest! They were forced to wait an entire day before they could go and anoint His body. Why? Because during those long, painful hours beginning at sundown, in the dark of night, during the Sabbath, the Lord was doing a mighty, resurrection-power work! Sometimes He forces us to enter into rest, a FORCED waiting period – so He can work in the darkness! THERE HAD TO BE A NIGHT OF DARKNESS for dawn to appear! I am telling you now, as surely as Luke 24:1 says, “But on the first day of the week, at early dawn…” your daybreak will bring a SUDDENLY of biblical proportions! It is alive! There is always a BUT with God! In the early dawn hours, as you rise to perform yet another mundane, normal, natural day of “business as usual”, God has other plans, and they are good (see Jeremiah 29:11)! Today is only the day of preparation! Our Supernatural God has supernatural plans for His supernatural progeny – You and Me! We don’t get to live by normal standards! We get to live supernaturally, according to His plans and purposes for our lives! We get to walk up to the tomb and find it empty! We get to go to work, just like normal, and find that God has supernaturally turned it all around – SUDDENLY! We GET to see what was once dead is SUDDENLY ALIVE! It happens at NIGHT! IN THE DARKNESS! While we are in a forced position of rest – according to the commandment – God is working to turn it all around for our good, because we are called by His name according to His purposes (see Romans 8:28)! Go ahead and rest easy, because God is at work! Get ready, get ready, get ready! Your daybreak is coming! Your waiting period is almost over! Once Your supernatural SUDDENLY has happened, OVERNIGHT your entire destiny will change! I know you can hardly wait to wake up now! I am so excited for you! Many blessings from the Living God, King of the Living Suddenly! 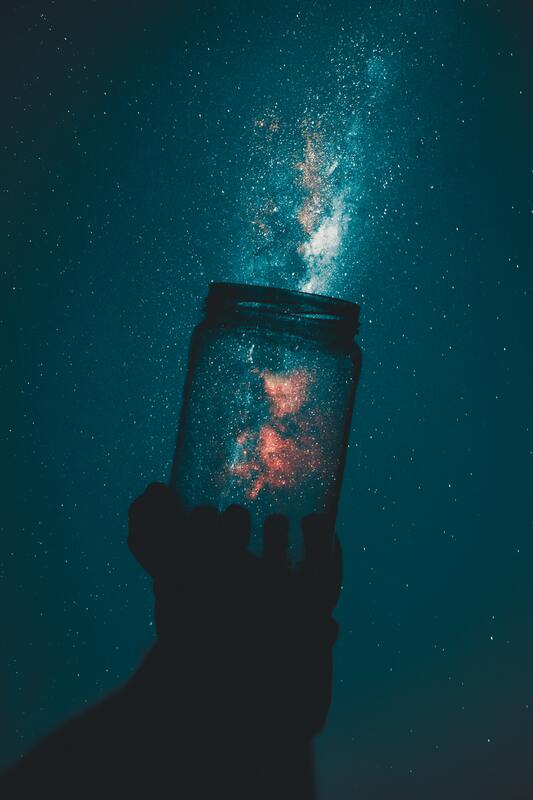 Author Edie BayerPosted on April 17, 2019 Categories UncategorizedLeave a comment on IT HAPPENS AT NIGHT! IN THE DARKNESS! God is Sending the Heat! His Law of Thermodynamics, or The Parable of the Coffee Mug! I knew it was God. He knew that I already knew the answer, although I couldn’t remember it right at that second, since I was still half asleep. I looked it up: thermal equilibrium. God wastes nothing! He had made sure that I had already learned this along the way so He could bring it back up – at just the right moment! I knew that God was speaking to me in a parable – the parable of the coffee mug! He wasn’t really talking to me about coffee and coffee mugs. He was talking about our bodies, or more accurately, His body. You see, just as iron sharpens iron (see Proverbs 27:17), when we are in contact with others who are ON FIRE, we become on fire, too! Conversely, the opposite is also true: lukewarm begets lukewarm, unless we are the ones on fire, causing others to catch on fire. 1 Corinthians 15:33 says that bad morals corrupt good character…it does not say the same works in reverse. However, when we come into contact with a fiery one we erupt into flames as well! That is God’s plan, and it is good. Zeroth (0th) is defined as “immediately preceding what is regarded as first in a series.” (3) Zeroth is the number before the first number in a series. To illustrate, John 1:1 could be called Genesis 0th (zeroth)! The Word was with God BEFORE He created the heavens and earth. “In the beginning was the Word, and the Word was with God, and the Word was God,” (John 1:1 KJV). “In the beginning God created the heaven and the earth,” (Genesis 1:1 KJV). In the same way, God is the First One before the First One! Romans 8:29 says Jesus was the first-born of the brethren – US! Similarly, for us to catch fire, our Father God must be on fire FIRST – before He sends the FIREY ONES to catch the rest of us on fire! Do you see? It is the Zeroth Law of Thermodynamics on display! It is HIS LAW, because He IS Zeroth! He is setting His own law into motion, activating it by activating US! The rise of the FIERY ONES. That is the reason we go to conferences and special meetings…to come into contact with the FIRE! These spiritual encounters set our hearts ablaze! We collide headlong with the Holy Spirit’s tongues of fire, catching fire ourselves! We are charismatic Christians for a reason! The charisma, defined as “divinely conferred power or talent” (5) is where we long to live, and nothing less than the presence of Jesus Himself will do! Thus, the rise of the FIREY ONES! They are a special breed of evangelist that God is raising up for this hour. This breed of laid-down Jesus lovers will stop at nothing to get into His presence and bring as many others with them as possible! They have been hand-selected, chosen, indeed elected to this post in the army of God for such a time as this. Heat flux originates from temperature differences, and always flows from the hot to the cold side. Some examples are our feet get cold on a cold floor because the floor draws the warmth out of them or standing close to a fire because the heat goes into our cooler bodies. Heat flux requires not only a temperature difference, but also a medium through which the heat must flow. That is why God is sending the heat through His FIREY ONES – His choice of medium! It is just so like God to send the solution before we even realize there is a problem! If there were no COLD ONES there would be no need for FIREY ONES! It is obviously His heart that the COLD ONES be warmed up to the same level as His FIREY ONES, using the laws that He created to do it– the Zeroth Law of Thermodynamics! 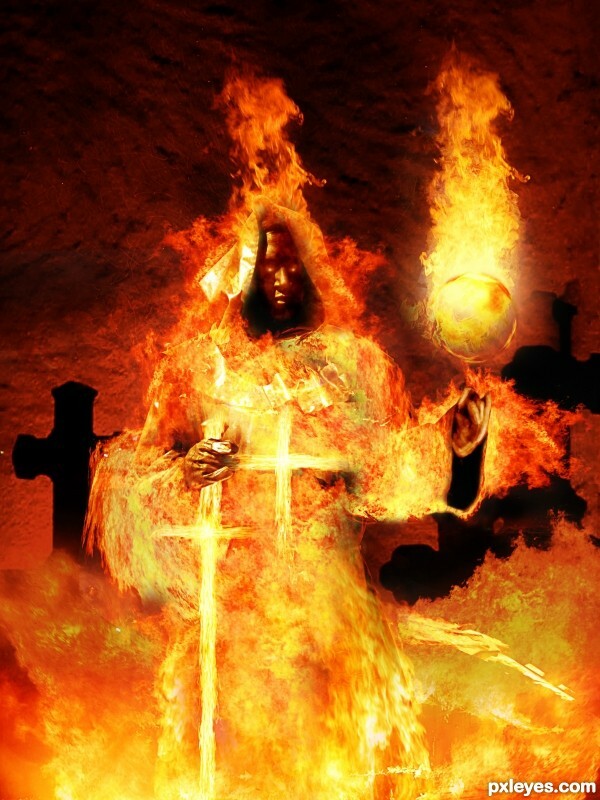 Since He is first in the series of Firey Ones, the Zeroth, He is sending those whom He created in His own image, to kickstart and restore US to the image which He intended us to be – ON FIRE! Here’s Good News! There is no resistance! The cold floor does not resist the heat from your feet – in fact, it DRAWS IT OUT OF THEM! At the same time, your feet – as uncomfortable as it may be – cannot say NO to the floor pulling the heat out of them! They simply MUST GIVE IT UP! This is GREAT NEWS! Just by being on fire, your heat will flow into those around you! You needn’t do anything out of the ordinary – in fact, the COLD ONES will pull on it and draw the heat right out of you! This causes them to finally become the FIREY ONES that the Lord intended! Finally, one last allusion to the parable of the coffee mug: the Lord would have us know that just as the heat from the coffee warms the mug, and then the hand of the holder – so does God’s heat flow from heaven into His FIREY ONES; from there, it flows into the entire population that puts itself into contact with Him through them. However, more good news! Unlike the coffee, which eventually loses its capacity to give off heat, God NEVER runs out of FIRE! He has plenty to pour out into us in this next season. That is His plan, His law of Thermodyanmics, and it is good! Hallelujah! FIREY ONES – Get ready to BURN! Author Edie BayerPosted on March 13, 2019 March 13, 2019 Categories Uncategorized1 Comment on God is Sending the Heat! His Law of Thermodynamics, or The Parable of the Coffee Mug! “God sows, for yet a little while and I will…(fill in the blank)”. The bible fell open to Hosea this morning. As I read, the Lord impressed upon me to write down the names of Hosea’s children, along with the definitions of each. I had to jump up to find a pen, which I did, and I settled back down to work. “God sows, for yet a little while and I will…” (Hosea 1:4 AMPC). I sat back and stared at this phrase, because I realized that God was LITERALLY speaking out of His word, which He often does! It sounded almost exactly as if He was giving me the first part of a sentence … a fill-in-the-blank sentence! Listen and really HEAR this phrase, because God is speaking to us! What do we do with a fill-in-the-blank sentence? We FILL IN THE BLANK, so fill in your blank! I filled in the blank with the thing for which I am expecting breakthrough! I encourage you to do the same! Listen! He is saying that He has sowed (your breakthrough) but hang on just a little while longer and He will (your breakthrough)! He is not a man that He can lie (see Numbers 23:19)! His promises are ALWAYS Yes and Amen in the Beloved (see 2 Corinthians 1:20)! Now, if you think about this word picture, and if you know anything about football, you know that on a fourth down with only inches to go to make a goal all the offensive players and all the defensive players crush together in one spot — at the goal line. The two teams face off and battle with everything they have over some of the most valuable real estate in all of sports – mere inches! The two opposing teams stare directly into each other’s faces when the ball is only inches away from getting into the end zone. It is the defending team’s JOB DESCRIPTION – the opposition – to push back with all their might to keep the offensive players from getting across the goal line and scoring. Conversely, it is the JOB DESCRIPTION of the team that has the ball to push forward with all their might and strength and power to get that ball across the goal line to victory! This incredibly fierce battle is for just a few inches of terrain! Do you hear God today? There are only a few, valuable inches of real estate for us to battle over before we cross the goal line! Do you want to know why the heat has been turned up? Why the opposition has grown so intense? It’s because we are mere inches away from God’s sown seed coming to full fruition, and to see that harvest in our lives and in the Kingdom! We are mere inches away, mere moments from experiencing the fullness of His promises! This is also why we are seeing such great depths of darkness with such “in your face” boldness. We are experiencing it up close and personal because we are literally standing face to face, toe to toe with the hordes of hell at the goal line, just inches away from the finish line to victory – OUR VICTORY! The Lord would have us all to know today that we are mere inches away from our goal, mere moments away from BREAKTHROUGH! We must keep pushing forward with all that we have, not giving up an inch to the enemy, even as he pushes back. He is trying to keep us from getting that which God has already prophesied that we shall have – our promised land! “Not by might, nor by power, but by my spirit, saith the Lord of hosts,” (Zechariah 4:6 KJV). I exhort you today to hear the word of the Lord! He says HE WILL! 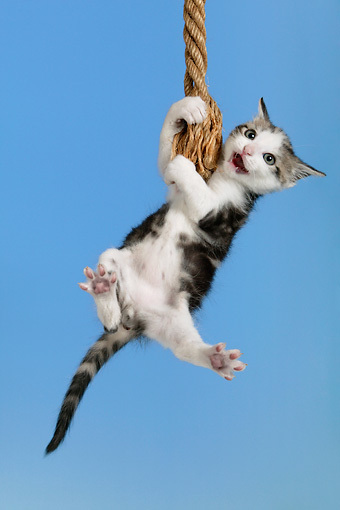 Just hang in there just a little while longer! Remember, it is not by our might nor by our power but by His Holy Spirit! So keep pressing in to His Holy Spirit, keep pressing in to Him, and you will cross over those last few inches victoriously! I am at the goal line right along with you, shoulder to shoulder, as we fight together, in unity! Author Edie BayerPosted on February 27, 2019 Categories UncategorizedLeave a comment on “God sows, for yet a little while and I will…(fill in the blank)”. Revival is going to hit like a tornado! I had a dream that I was driving in my truck and Darryl was in the passenger seat. We felt uneasy and then I heard, Oh NO! Suddenly I lost control of my truck. I felt a force moving it, spinning to the right, but it must have just bumped us, or barely touched us. It was a tornado. It moved us around, but as we came to a stop I saw another one out of the driver’s side window to my left, with another tornado right behind it. They were light colored and moving fast. Immediately a second one picked up the truck and I realized we were spinning through the air, high off the ground. 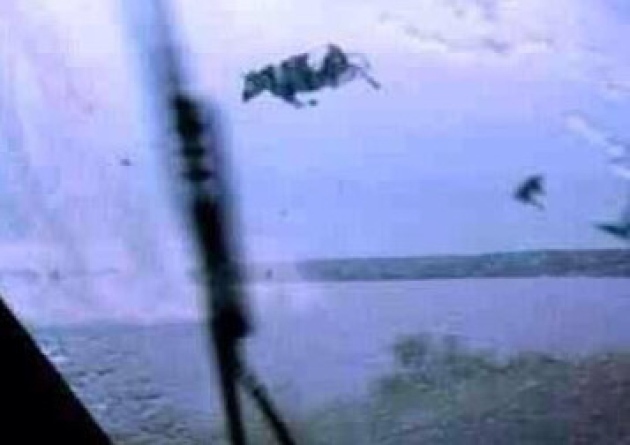 I remember thinking I would see a cow in the tornado, like in that movie! I started to say something to Darryl, but then passed out…End of Dream. I remember having another tornado dream one time. I was sitting in my blue pickup in a parking lot with the door open. This was a truck from another period in my life – a tumultuous, painful period in my life; a period of destruction and devastation. In that dream, the tornado hit my truck, lifted it off the ground and just kept going. There was someone next to me in the truck, but I don’t know who – I always assumed it was Holy Spirit. I laid my head in his lap, out of fear. He covered me with a sky blue comforter, all the way over my head so I couldn’t see, as we were carried up. When I awoke this morning from that dream, I was afraid! I thought, “No Lord! I don’t want to have trouble and devastation hit my life again!” That’s when the Lord reminded me of the first tornado dream in the blue truck. I had never gotten an interpretation for that first tornado dream, even though it was years ago. During that period in my life the Lord was just starting to take me into the deeper things of God, showing me about the prophetic and who I am in Him. That is when I laid my head in His lap in real life – I hid myself in God, and He covered me with His comforter, His Holy Spirit. He lifted me out of the world and into HIS world. The first tornado dream took me out of me and hid me in God. The second tornado dream is going to do the same thing…but not just for me! It will be for both me and Darryl, and for Kingdom Promoters Ministry. I realized the tornadoes I saw in this morning’s dream were white tornadoes, not black. This means good for us, not ill. They are coming fast and the first one will hit with power, changing our course here in the earth realm. The second one will lift us up higher into the heavenlies than we have ever been. Sounds like Revival to me! Author Edie BayerPosted on February 23, 2019 Categories UncategorizedLeave a comment on Revival is going to hit like a tornado! Greater Multiplication on Your Seed! Guaranteed! I love it when God talks to me about Kingdom finances. I think He does it because He knows I will share! Does this sound like you? Recently someone asked me how the Kingdom works. He said that he prays and tithes, yet his finances still haven’t changed. Does this sound like you? No worries! Many people need to better understand how Kingdom finances work! Here are a few things God wants me to share with you. He wants His body to increase financially. If you do these things, you will have greater multiplication on your seed – guaranteed! 1: Here is the key: Do what God tells you to do. Even if it seems nuts, even if you are scared. Do it anyway. “Do whatever He tells you,” (John 2:5 ESV). God gave me Blueprints and Strategies to Acquire Wealth but it didn’t automatically happen. One must FOLLOW a blueprint! Whatever God shows us we must still put it into action. I won’t go into the entire word, but part of the strategy is to pay it forward – in essence, sow 10% of the amount that we wish to receive. It is tithing with expectation! Following this blueprint and the voice of God, I sowed EXPECTING TO RECEIVE ten times the amount of my seed. Now, even though I’d seen His strategy work, the first time He told me to sow $1,200 into someone’s ministry I got scared! It was someone I really didn’t know that well, and I fought God for days. I tried to bargain with Him, hoping I could at least give it to someone that I knew! Ultimately, I did it. I sowed into this person, because the Lord told me to. Almost immediately I got a message back that what I sowed into this ministry was direly needed. God knew! This was a confirmation for me. I knew then I had heard God. I just had to keep reminding myself that it is HIS money, after all – and not my own. That made it easier. In the months that followed, I received a check for $10,000 and twice for $2,000. God not only made it up, he multiplied it back — exactly like His word says. We must trust Him. Do it scared! If He will do it for me, He will do it for YOU, too! ALL THE MONEY IS GOD’S, but we get to steward it. “The silver is mine, and the gold is mine, declares the LORD of hosts,” (Haggai 2:8 ESV). I mentioned this a little while ago, and it needs to become second nature to think this way. Look here — if you have $2500 a month to live on and you are tithing $250 and He asks you to give $500 to someone – do it! It’s ALL HIS MONEY. I think that’s the part we miss. We think of it as OURS, when in fact, it’s HIS. He requires the tithe and allows us to steward the other 90%; but realistically it’s all His. It is fun when you start thinking you are spending someone else’s money! Just reach into God’s pocket anytime you want and get more! It makes it easy to give it away when it’s not yours. Think about that! Selah. Sometimes we are so afraid to turn loose of our seed in case it doesn’t grow. Here is a hard truth: it will NEVER grow in your hand. It must be in the ground to grow. That means you must open your hand to let go of the seed to sow it. You cannot hang onto it. You will get it back, so stop worrying about it. But ONLY sow it where He tells you to – and HOW MUCH He tells you to sow. That is crucial….because He knows. Don’t ever NOT GIVE because you think you don’t have money, or the money is earmarked for expenses. “…but she out of her poverty put inall the livelihood that she had,” (Luke 21:4). Everybody has money somewhere…even if it’s couch change or emergency money socked away. 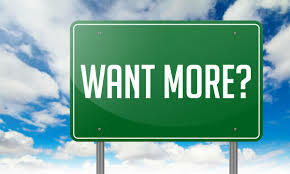 God wouldn’t ask you to give it if you didn’t have it, and He will get it back to you – multiplied! I have heard countless stories of people who have sown their rent money or their electric bill money — and it came back to them supernaturally multiplied. It has happened to me, too! But ONLY do it if God tells you to do it. What I have found is THE MORE YOU DON’T WANT TO GIVE, the greater the multiplication on that seed!! Guaranteed! It means the devil is fighting you so hard because he knows how much that seed is going to accomplish. That just stands to reason! If you sow $10 you will receive multiplication on $10. If you sow $1,000 you will receive multiplication on $1,000…it’s simple math. No matter what, you will receive the greatest benefit when you give what God tells you to give! Don’t give solely to get – unless He tells you to do it. Even the Blueprints and Strategies word is based on a God-goal. We must have the right heart. We cannot be double-minded. If you want to give to someone, ask the Lord first. He will tell you. Follow the peace. It is CRITICAL that we ask Him – and then do as He says. Read 2 Chronicles 31:4-10. King Hezekiah commanded the people to give, and they gave JOYOUSLY, both first fruits and tithes. God is commanding us to do the same; however, it’s because He wants to multiply what we give. Lastly, EXPECT GOD TO MOVE ON YOUR BEHALF. EXPECT Him to do what He says He will do. EXPECT Him to multiply your seed. EXPECT Him to eliminate debt, reduce expenses and give you miracle money! No matter what, God is still God! He loves us and He wants us to do well. He gave us a set of rules to adhere to, and when we do, we will receive our expected end: GOOD (see Jeremiah 29:11 KJV). Seek God and ask Him yourself. Then do what He says. I pray for brilliant ideas and witty inventions for you (see Proverbs 8:12). I pray for gross, shamefully, ridiculously huge multiplication on the seed that you have planted already. I decree that you are a people of substance – and that your foundation is strong and built on the Lord. There is much more, but of this I am sure: God has given us a blueprint, called the Bible. It is up to us to follow it. Blessings and abundance as you follow His Kingdom financial strategies! Author Edie BayerPosted on February 20, 2019 Categories UncategorizedLeave a comment on Greater Multiplication on Your Seed! Guaranteed! Hear Here! God says, I AM PRESENT! Be Present in My Presence! Visit BREAKTHROUGH TELEVISION on Facebook! If God will do it for us, He will do it for YOU, too! 24/7 Breakthrough Testimonies for the Body! Do you or someone you know need some encouragement? This caught me off guard. I thought, “Wow! Am I going to die?” Then I realized He was talking about our spirit man. Our spirit leaves our jar of clay when we are in His presence to be united with Him. “Enlarge the place of your tent, and let the curtains of your habitations be stretched out; spare not; lengthen your cords and strengthen your stakes, For you will spread abroad to the right hand and to the left;”(Isaiah 54:2-3 AMPC). He has come to claim His bride. Then, as I looked up I saw Jesus walking, wearing His crown. He went right over the top of me, as if I was watching from under a glass ceiling. He stopped and hunched over to look at me through the ceiling and then stood again to continue walking. His love and mercy and caring were so evident. He stopped for the one – for me. He had to come down to see what I was doing from beneath him; yet, He was glad to do it. He acknowledges the individual, even in the midst of the crowd. His royal robes swished as he walked on….to where? “Where are you going Lord?” I asked. Shocked, I asked, “Are you saying You are coming next month, Lord? But no man knows the day or the hour!” (see Matthew 24:36). Gossamer Truth. Next, I saw a flash of bright, white light, and then suddenly a young woman, her eyes respectfully downcast. She was brilliant, and it caught my breath! A sheer, flowing robe came resting upon her shoulders. It was glittering, and so was she. She was clad in ancient garb, chaste, with a high neck. Her head and hair were mostly covered. I watched as the robe seemed to fasten itself under her neck. I heard Him tell her to look up, and she did. He leaned over to kiss her cheeks. It was the kiss of a beloved one – a father, a brother. There was an instantaneous transformation in her demeanor. Suddenly she sparkled! Although she was lovely before she was thoroughly radiant now. In the vision the Lord focused on the jewels in her collar, on her cheeks, under her eyes. She was covered in shimmering diamond dust. I heard an ocean’s roar, but realized it was people cheering. It was the beloved of the King who cheer raucously, loudly, because they were in His presence – Truly in his presence, in His Revival. He is come. The King is come. We have been crying out, “Come, Lord Jesus, Come!” for a millennium. He revealed to me that His presence comes and it goes, it ebbs and it flows. His presence rises and swells like the ocean tide. The ocean is never truly gone. It is always right there, but sometimes it seems to be greater or lesser, closer or further away. Such is the presence of God, in the person of Jesus Christ. He is never gone. His presence just seems to be closer at some times and further away at others. It seems that He draws closer and closer in response to our worship. We call this Revival. Get ready to be fed! Many who long for Him to come will be fed and given drink. For that is what He longs to do, to feed us as He freed us. To give us plenty, and more of Himself. STOP, DROP and ROLL! Get in His presence! Stop what you are doing. Drop to your knees, because that’s how we Roll – in the glory, in the presence of God. No matter where we are or what we are doing. When He wants us to come to Him, we come, because He has come. We drop to our knees because we are the glory carriers of the King. Revival is coming to a spot near you! Make sure you follow the blazing presence of the Lord. Get ready for massive influx of revelation as His people gather to be in his flame. Find the spot that the Lord sets you in and stay there. Enjoy the buffet that He has laid out for you. Taste and see that the Lord is good! Author Edie BayerPosted on February 13, 2019 Categories UncategorizedLeave a comment on Hear Here! God says, I AM PRESENT! Be Present in My Presence! I heard the Lord say, “Come into my garden.” I looked and saw a yellow-orange glow pouring out from between iron gate leaves. It looked a little like flames. Stepping through the gate, I was approached by a stick-figure god. He was just a drawing in black ink, and I could see right through him, literally – I could see the flames in the background right through his body. This god kept trying to give me something but failed, over and over. Then I saw THE WALL on my left. I immediately thought of the wailing wall. 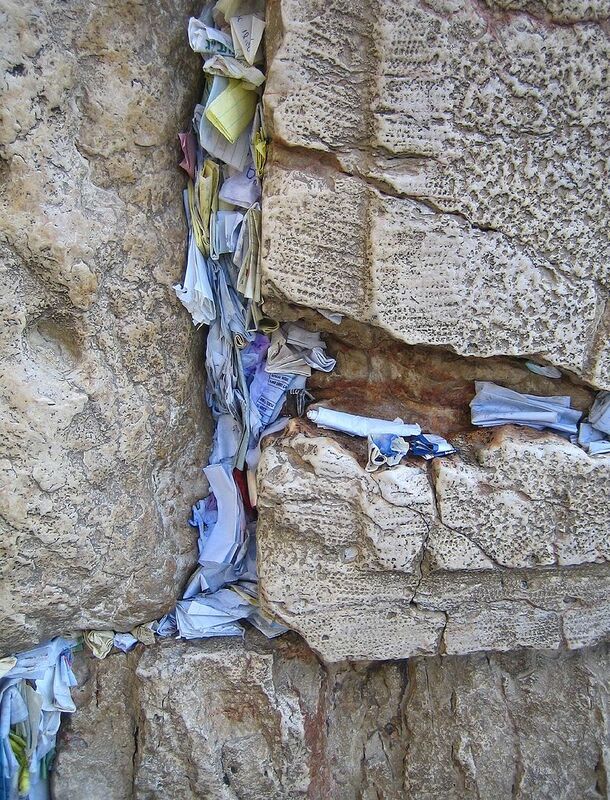 There was a traditionally dressed Jewish man in front of THE WALL, bowing and rising, again and again as he prayed. I realized that this man went to THE WALL over and over many times a day to pray, verbalizing his requests to God. I looked at THE WALL again, but now it was on my right. Focusing in on it, I saw the prayers of the saints – little pieces of paper stuck between the rocks. Suddenly Kim Clement was there! He was speaking and gesturing to me, but I couldn’t hear him. I could only see his lips move and hand gestures. He wasn’t looking directly at me, it was almost as if he was talking to someone else; yet, I knew he was talking to me. I got a sense that he was telling me how incredible and unbelievable it was that I haven’t walked into my destiny yet…that I haven’t yet walked into my full inheritance. “You hide them in the secret place of Your presence…” (Psalm 31:20 BSB). I caught a quick vision of a park bench somewhere in the garden, tucked away, hidden in the secret place. That was when Kim grabbed me by my wrist and started to lead me – no, almost DRAG me – by the arm. His steps were so long that I semi-ran behind him as he strode purposefully further and further into the garden. THE WALL flew by for what seemed to be miles, but I could still clearly see the rocks with the prayers stuck between them. Meanwhile, the vision of the park bench was ever playing out in front of me, even as it appeared that he was dragging me toward it. I could see it in the vision, yet it was like a split screen – on one side was the bench, the other was him dragging me alongside THE WALL. Even so, somehow, it was still one vision. The Lord reminded me of something He had told me the morning I found out that Kim had gone home to be with the Lord. He had told me that unlike most mantles, that Kim Clement’s mantle had been exploded, landing on many. That is why there are so many prophets now: even though many did not pick up their piece of his mantle, many did. This made prophets into strong prophets, and strong prophets even stronger. The whole time the Lord spoke, the whole time I walked-ran behind Kim Clement, I could still see a vision of the park bench ever in front of me. I say this to all of you now – It’s YOUR TIME! Whatever your mantle, walk – no RUN – to your particular spot in THE WALL. Get your sword in one hand and your building utensil in the other. Get busy building the Kingdom! The Lord is dragging us behind Him, forcing us to move more quickly in this accelerated time as He purposefully positions us. He has chosen a particular spot in THE WALL for each of us in this hour. He has given each of us a unique assignment, along with unique gifts and talents to fulfill it. We are the living stones (see 1 Peter 2:5), fulfilling our part of God’s grand blueprint, positioned exactly where He wants us. Prayer holds it all together, stuck like mortar between us. The Lord will take each of us by the hand to make sure we do our part to build a wall of hope, a wall of faith, a wall of exhortation, a wall of salvation for the greatest harvest in history! We must answer their prayers with prayer. We must help others build their particular spot in THE WALL. We must teach them to fight with their sword in one hand while ministering and building with the other, just as in Nehemiah’s time. “Those who built the wall and those who bore burdens loaded themselves so that everyone worked with one hand and held a weapon with the other hand,” (Nehemiah 4:17 AMPC). The Park Bench – the time to Park it in eternity, to rest – is ever there before us, ever waiting for us; however, Now is the time to work and build THE WALL. Rest will come, when the work is done. “While it is daytime, we must do the works of Him who sent Me,” (John 9:4 BSB). Blessings in this harvest season!